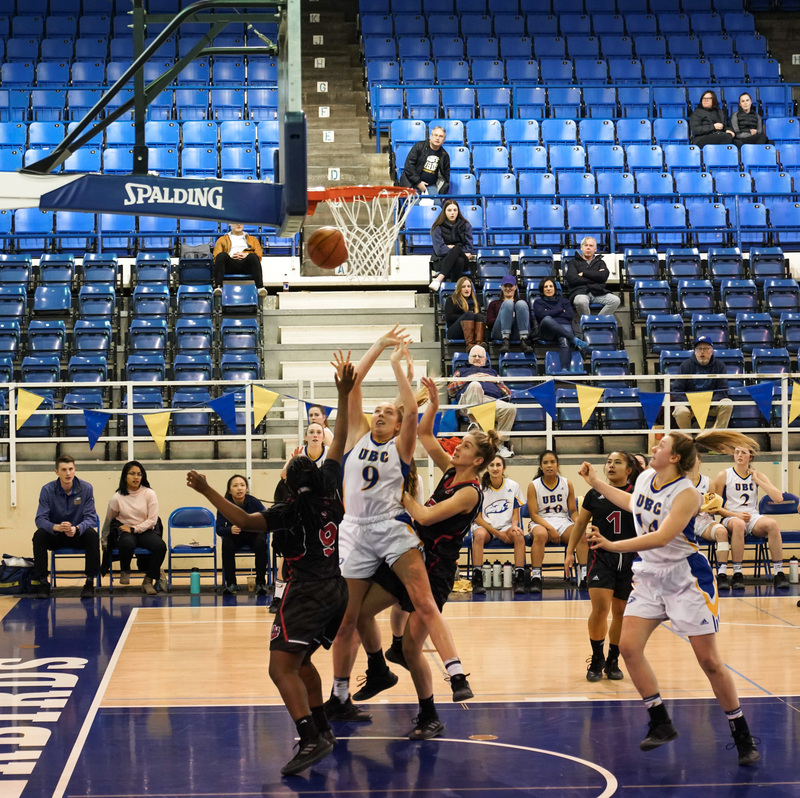 War Memorial Gym has played host to many battles over the years — the Canada West playoff play-in game between the Winnipeg Wesmen and UBC Thunderbirds women’s basketball teams was definitely one of them on Saturday night. With a spot in the Canada West quarterfinals on the line, the tension was palpable throughout the entire game. Even with home court on their side, the T-Birds would lose narrowly 67-64, ending their playoff hopes for this year. In the first half, UBC tried to establish a presence in the paint with veteran forwards Keylyn Filewich and Madison Penn. But the Wesmen countered with a spirited defensive effort, preventing anything easy for the ’Birds offense. “We did a great job in the beginning of the game keeping Filewich and Penn kind of unstable,” Winnipeg head coach Tanya McKay said post-game. At the break, her team was leading 41-33. With their stars being held in check, the bench provided UBC some help in the second half as they started to mount their comeback. With under four minutes left in the third quarter, substitute Gabrielle Laguerta would give UBC their first lead since the first quarter with her second three-pointer of the game. In a game that included 10 lead changes, however, the ’Birds would find themselves down again to begin the fourth. Laguerta would answer with another three-pointer to tie the game at 55, and Filewich and Penn would both score layups to put the ’Birds up four with a quick 7-0 run. Foul trouble then became an issue for the Wesmen, as star forward Faith Hezekiah would foul out with seven minutes left in the game. With the Wesmen leading scorer out of the game and up four, UBC looked all but assured of advancing to the next round. But it was at this moment that the pressure seemed to get to UBC, allowing Winnipeg to go on a 10-0 run that started with a three-pointer from point guard Farrah Castillo. In the end, the performance of Castillo would be the difference-maker in the game, as she would finish with 20 points but only commit one turnover while commanding the offense with a steady presence. “She was the type of guard we wanted that could inside the defense and she did exactly that today,” McKay said when describing the play of her point guard. After a missed free-throw by Winnipeg with eight seconds remaining in regulation, UBC had one last chance to save their season. 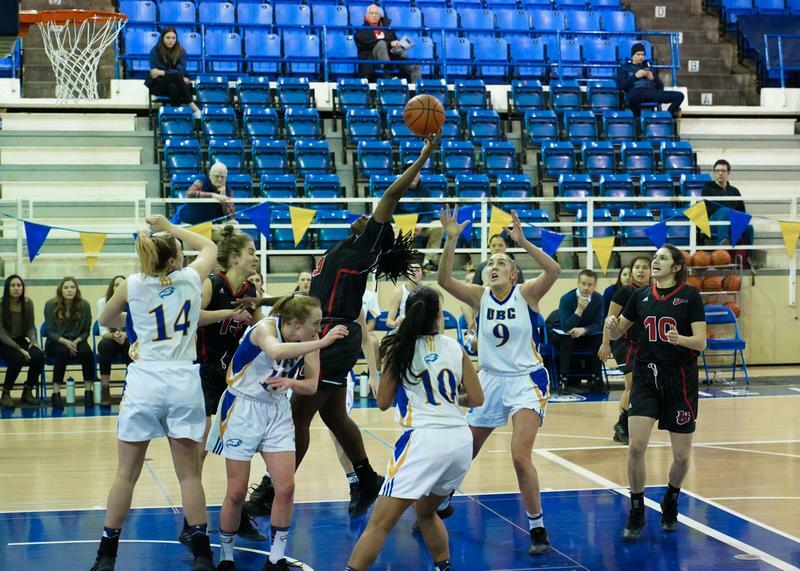 But a miscommunication between guard Jess Hanson and Laguerta resulted in a turnover that sealed the victory for the Wesmen. From the Winnipeg side, McKay expressed that she was “incredibly” proud of how her team was able to withstand the pressure and beat a higher seeded team on their home floor.